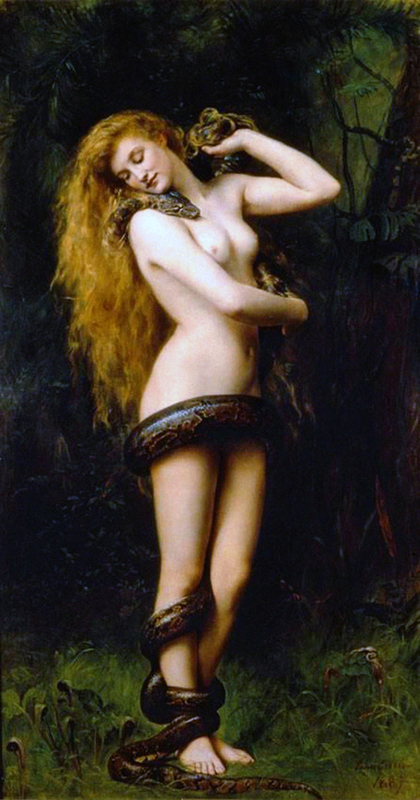 And do you smile, O Lilith, queen of sin? While tossing back your hair of cinnabar. Your flesh is purpled by the Serpent’s press.